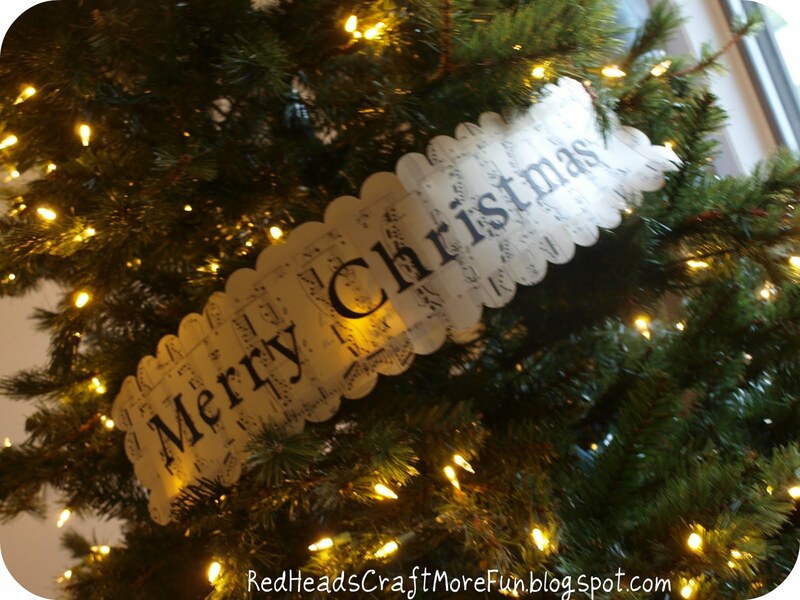 I have been eyeing this garland from a certain (over-priced) store with the initials P.B. Here is a zoomed out version. So pretty. So expensive. 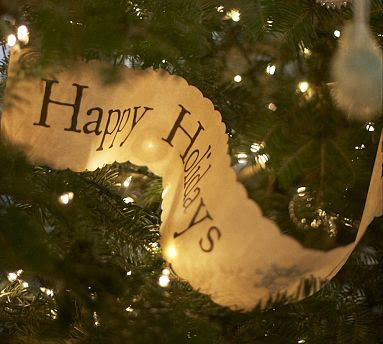 I knew I didn't have enough room (because of this) to make a whole garland, so I just made a banner instead. Besides, it's easier to make and doesn't take as long. I also switched mine up a bit and used some old music I found at Goodwill for .49 cents. I used my Cricut Schoolbook cartridge to cut out the letters in black. Cut a sheet of music in half (hot dog way) and glue together at the seam. 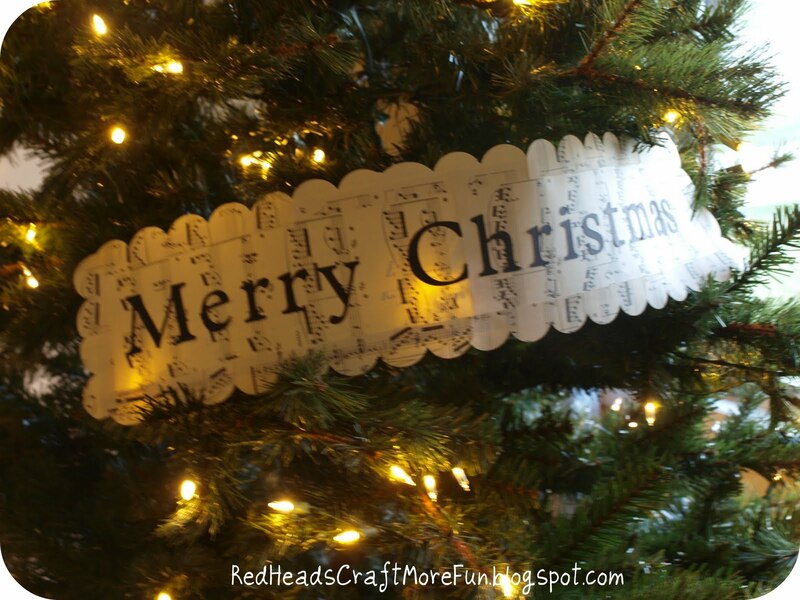 Use the same Cricut cartridge to cut the scalloped edges. 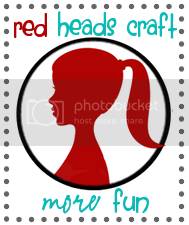 If you don't have a Cricut, use those fancy-schmancy scrapbooking scissors instead! Glue it all together. So pretty. So NOT expensive. Just wait till you hear what happened when I started hanging the ornaments on the Christmas tree... At least my banner is pretty! I am going to link to these parties this week. PS: I am linking this to the Christmas Craft Contest at Poppies at Play. If you like my banner, head over there and vote. Thanks! Yay for the Cricut! Love this cute decor! Very pretty, I like yours better. Very neat banner. Your tree is gorgeous! I saw this in the Pottery Barn catalogue, and fell in love with it too! You did a great job! Oh I love it, I did something of a knock off as well. I do not have your nifty machine though, yours looks fantastic. I will be sharing mine tomorrow. Hope you come by and see it. That is just darling. I was just looking through PB last night and saw that. So darling. Wow, so adorable and elegant! I love your sheet music version, so much prettier than P to the B. Nice job! I think I like yours better! It looks great. I love the music. Simply lovely! Love this! I wonder how it would look in torn muslin with the words to a Christmas carol stamped on in black? Hmmmmm. Gasp...awesome idea!! I think I might try this!! Thanks!! I would love it of you linked to our party!! Really cute with the sheet music, Courtney!! I have been brainstorming on how to make this since I saw it at PB way back in November. Alas, I don't have a fancy cutting machine. Yours looks great though! That looks GREAT! much better than store bought! Adorable! How clever of you. Love it! Much better than original! Courtney, I saw this garland in a PB store and fell in love with it...but not the price! Yours looks wonderful and I like it on the old music sheets better than the PB version. Perfect! Eat your heart out PB!! I LOVE it! It looks amazing and soo economical! Thanks for sharing with the Pink Hippo Party. Can't wait to see what you share next week! This is a beautiful idea! It looks fabulous! Wow wow and TRIPLE WOW! OK, I am really going to need to get a cricut, I can tell. This is a beautiful craft. Thanks for linking up! Love it. I was standing in PB the other day thinking: "I wonder how long before some genius blogger knocks this off". Didn't take long! I saw PB version and I thought of your photo on a blog hop from last week. I'm a follower, will you do the same? Merry Christmas! Such a lovely touch to use music score for your banner. I've been looking at that garland too- I like yours better on the sheet music! I think a banner over my mantel would look great...thanks for the inspiration! I love it with the sheet music! Great idea ... love the sheet music! Missed out on the burlap gardland but you got a great deal! Came by way of Thrifty Thursday ... thanks for sharing! I think I may even like yours better. Well done. Great idea!! I have a cricuit but i would have never thought to do that. Thanks for linking for Craftify It Thursday! These are lovely! Such inspiration and beautiful holiday decor! Great job here; I’m so glad I stumbled upon your post. It would be so much easier to use my vintage rubber stamps to do the lettering. Very cute! Great idea! love it a lot. I am your new follower. You can follow me back at http://showmemama.com. Make sure you leave a comment so I know you visited. I love a great Pottery Barn inspired project! You go girl. Always feel like I'm winning or something. :) I just posted my PB inspired advent calendar. Yeah! Love it!!! So, what happened?!! Hope whatever it was, it was repairable. I have been trying to figure out how to make one Thanks so much. 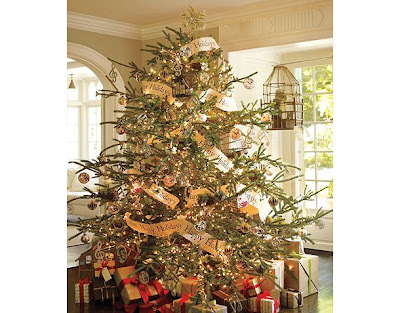 I got the one from PB it was too rustic for my pink tree.I will try sheet music. makes you wonder whay an item that costs $ 5 or less is about $65 or more at "that" store huh??!! Great job!!!! I love it Courtney! It looks fantastic! Totally the same affect, but so inexpensive! Sa-weet!! What a wonderful, elegant idea! I love using music sheets. I did a monogram with sheet music and it just makes everything better! Great job! Oooo, ahh, ahh, ahh--I love it. Thanks for linking up to Beyond the Picket Fence's Under $100 Party. That turned out great, and I really like the way your scalloping is a little more pronounced. Great job! I love it! It looks so beautiful. That looks just as fabulous as the other. So beautiful. Thanks for linking up to Scrappy Saturdays! Featuring this today. Because it to b young !